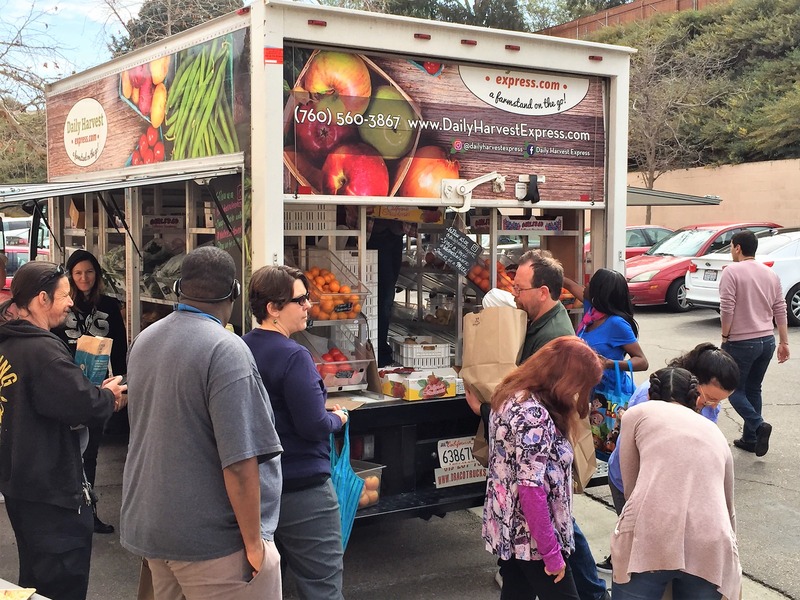 A health event on wheels! 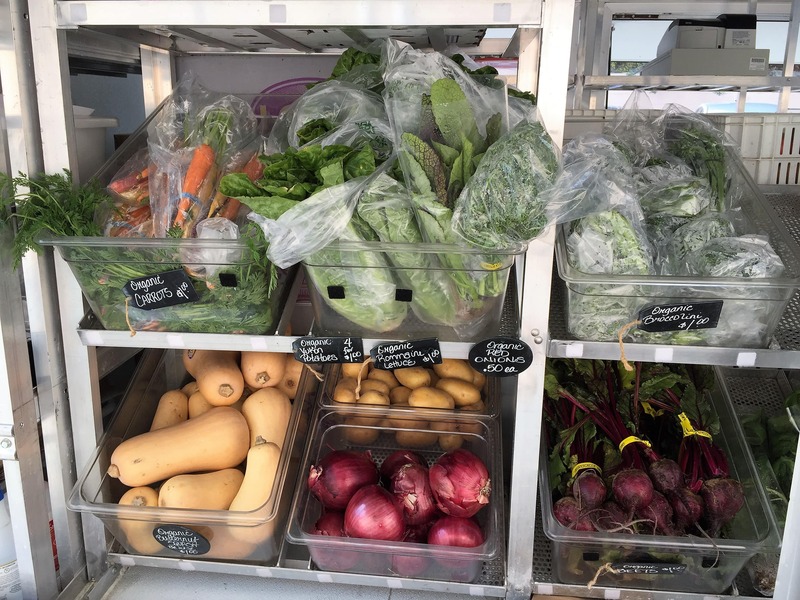 Our mobile farm stand is filled with delicious, healthy food from local farms and food artisans. 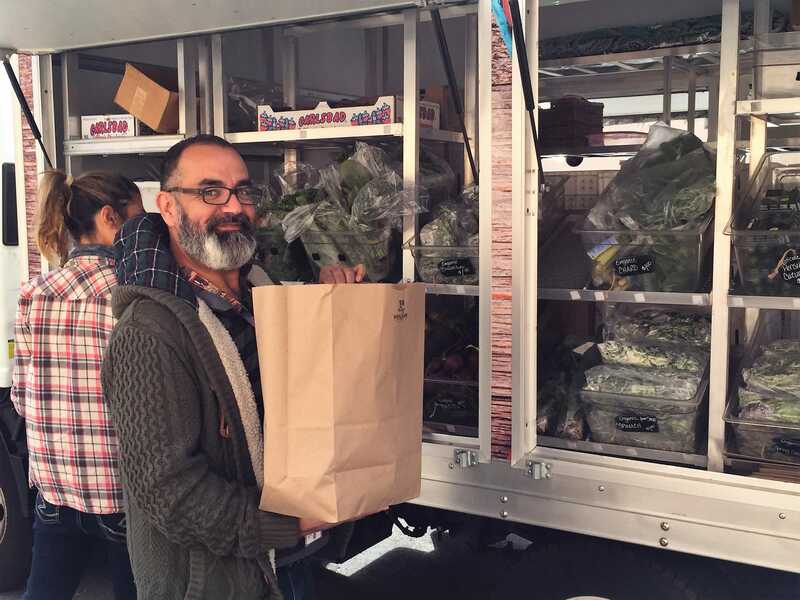 We roll up to your company and open our doors so your employees can shop for their fresh, organically grown produce from local farms, plus lots of delicious artisan foods from local companies. 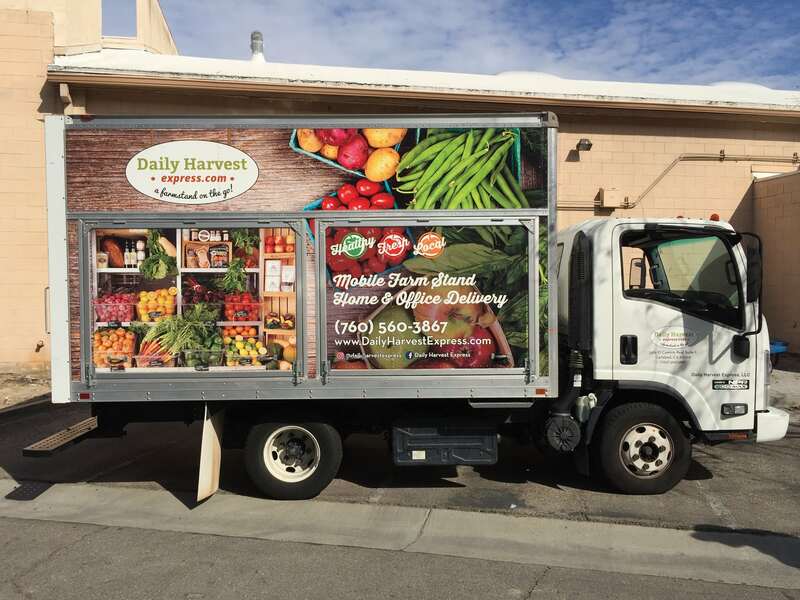 Since 2015 our “farmers market on wheels” has delivered healthy local produce to thousands of businesses and employees throughout San Diego. 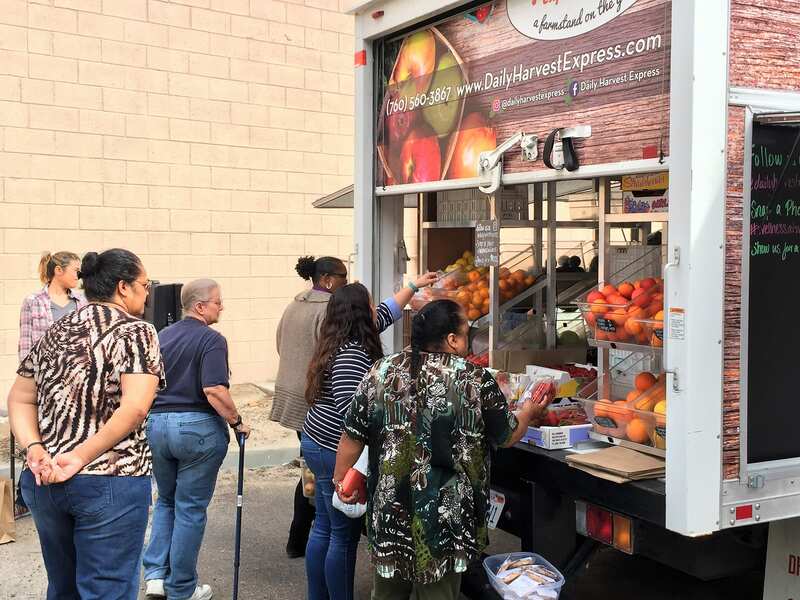 In 2017, the County of San Diego declared November 2nd to be Daily Harvest Express Day to recognize our success in getting healthier food to homes and businesses. 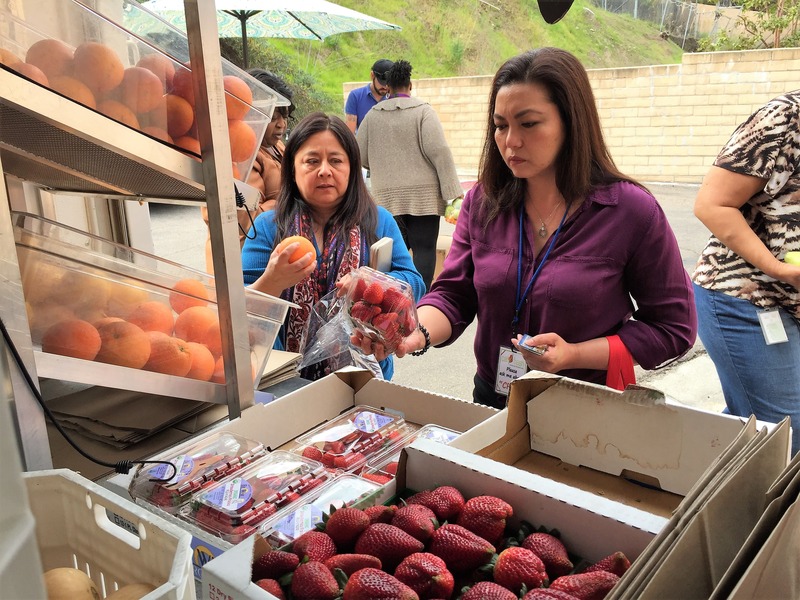 Our mission is to bring the healthy magic of a local farmers market to the workplace, inspiring busy people to eat healthier while supporting local family farms in San Diego and surrounding counties. Sign up & Reward Your Staff – When your business signs up, you pay an upfront fee based on your company’s size which pay for coupons for your employees to use at the Farm Stand! The coupons you receive with your signup package nearly cover the entire upfront fee. Customize & Promote – Choose the Farm Stand schedule that’s best for your company: one time, biweekly, or monthly. We provide you with everything you need to get the word out to your employees: e-blasts, signage, and printable or e-coupons. We will work closely with your team to tailor the event to your needs and will prepare information for your property management company as needed. 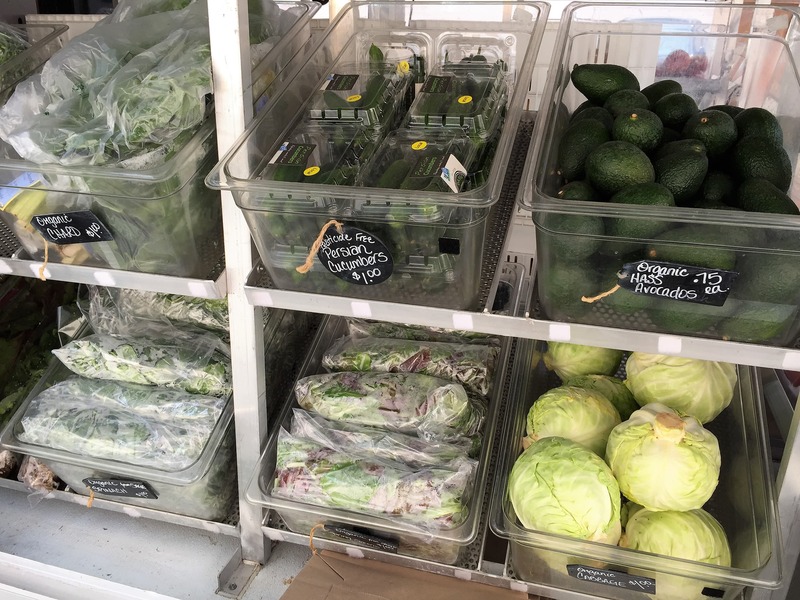 Shop – Our Farm Stand arrives loaded with ~ 24 varieties of organic fruits & veggies, all sourced from local farms. 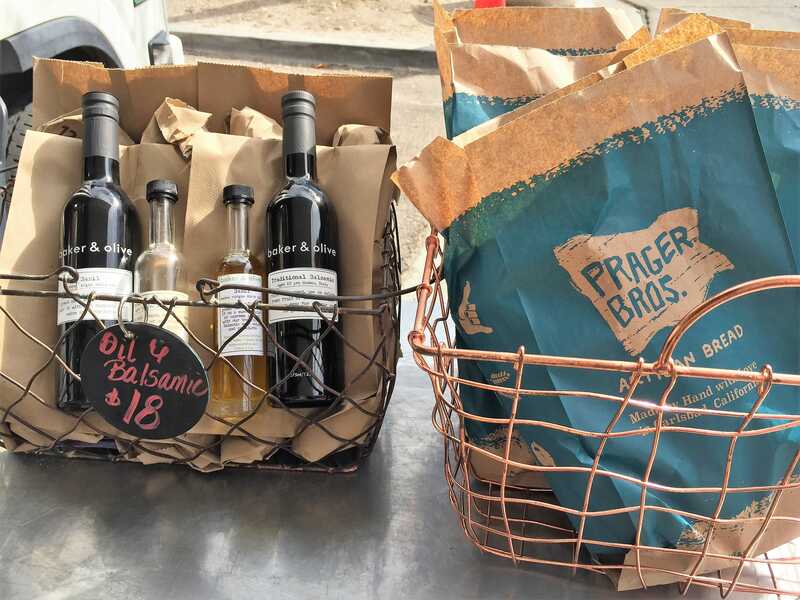 Plus we offer artisanal foods such as organic cheese, eggs, nuts, spices and ready to eat snacks from local food crafters. 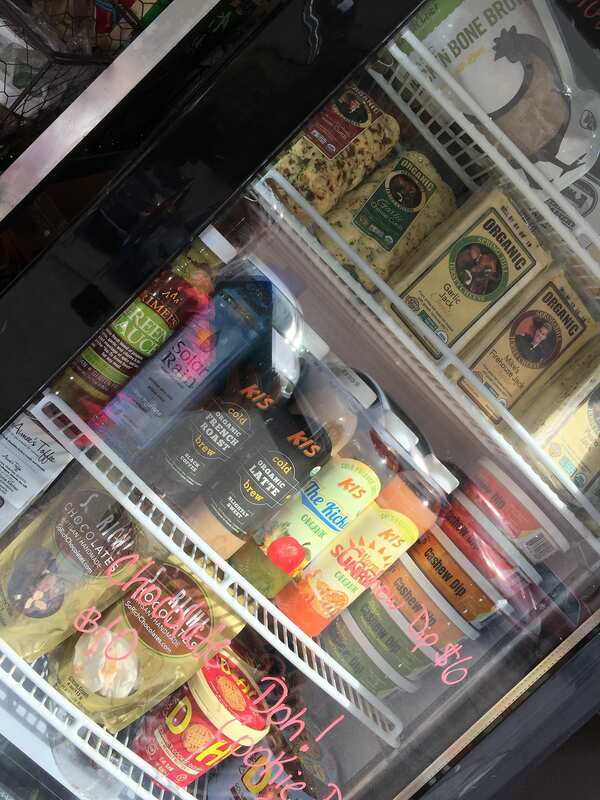 Your employees will enjoy recipes, learn where their food comes from and do some healthy shopping! 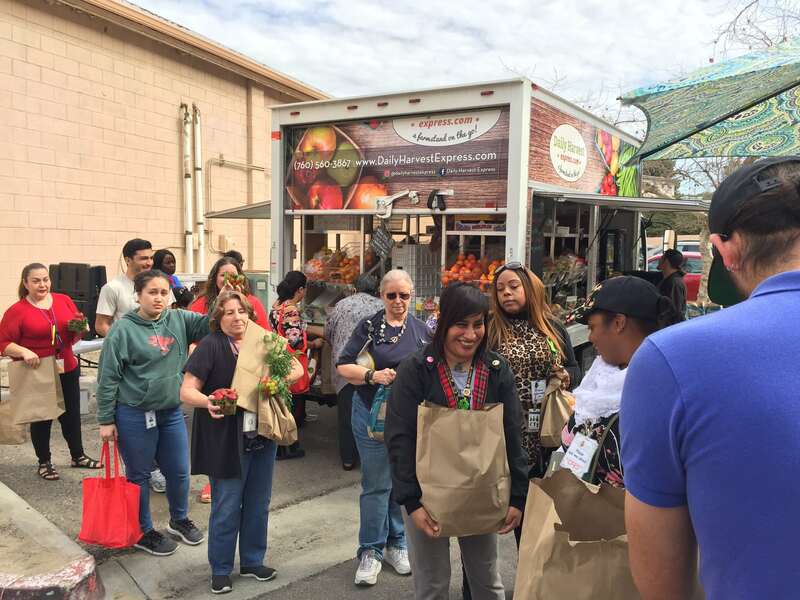 Giving Back – Any produce left over after the event is donated to a local charitable organization that distributes it to low income children, senior centers and food kitchens that feed the homeless in North County. Watch the mobile food truck in action!